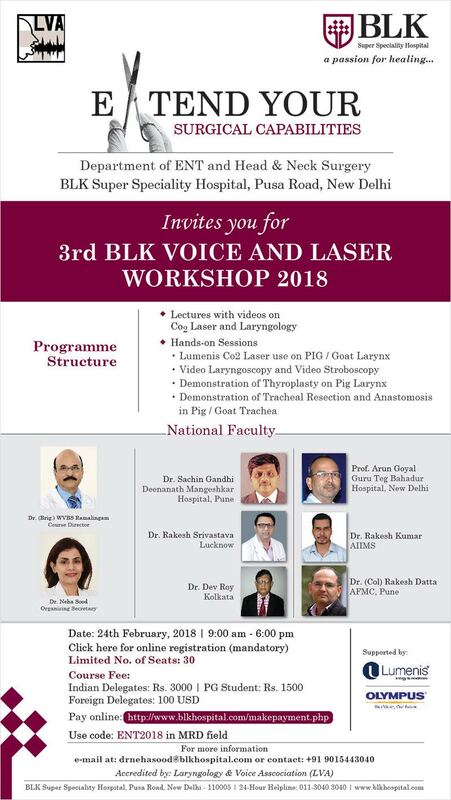 We request the pleasure of your participation in Workshop on “Voice & Laser” being organised by the Department of ENT and Head & Neck Surgery, BLK Super Speciality Hospital, Pusa Road, New Delhi on 24th February 2018 at BLK Super Speciality Hospital, Pusa Road, New Delhi. 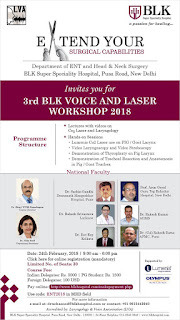 Make Online Payment after registration. Use code ENT2018 in MRD field.